Who can quarrel with walking? It is easy to do and accessible to just about every fitness level. No special equipment is required and you can do it just about anywhere. Best of all, walking does a body good. Here are just a few of the many benefits you get just by putting one foot in front of the other. Walking just 30 minutes most days of the week can improve blood lipid profiles, blood pressure and reduce your risk of heart disease. Having trouble getting started? Try just ten minutes before work or after dinner. Regular walkers have a reduced risk of obesity. Occasional walkers reap benefits, too. Real Simple magazine reported that Australian researchers found that study participants who walked to work gained less weight than other participants even though those participants were active at other times during the day. Maybe you can’t walk to work but if you can, try a hybrid commute. Walk to the train or drive near to work and walk the rest of the way. That strategy could save you a few dollars if you don’t have free parking at work. Look for a cheaper lot a mile or two away to save money and get the benefits of walking. Despite more attention to happiness and an unending source of self-help books, most people are deeply unhappy. Not only that we are often cranky, frustrated and impatient about even small things. Walking is an antidote. Studies show that just 10 minutes of walking can boost mood and reduce anxiety. The next time you feel tense give it a try, you’ve got nothing to lose but a bad mood. 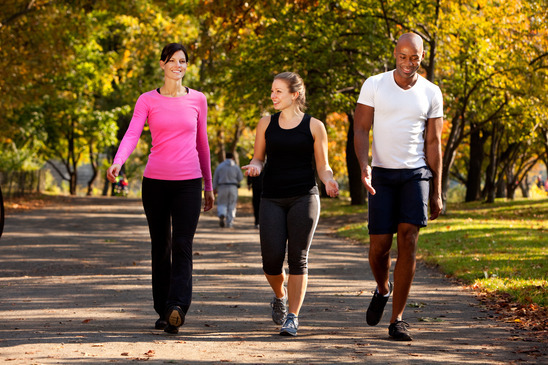 Walking at a brisk pace not only strengthens your heart, it also helps tone your legs and bottom. When you pump your arms as you walk you will also tone your arms as well as your upper back, and give yourself a little extra speed. For those struggling with insomnia – and there are many…that is reason enough to hit the pavement. Insomnia has a significant impact on your waking life including, cognitive ability, mood and response times. Sleeping well improves quality of life. Our range of motion can decrease with age. Walking is one way to stave off that decline. Walking also boosts circulation, which supports healthy blood pressure and even healthy skin. 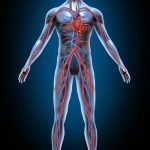 Cellular debris is flushed from skin as you pump up your heart rate. Blood and oxygen also nourish skin cells to help them look healthy and fresh. So get going to get glowing. Start where you are. If you can’t walk 30 minutes a day, walk ten minutes three times a week until your schedule or fitness level changes. Consider getting a walking buddy, too. Having someone along can make walking more fun and you will be less likely to skip it and hit the couch. A consistent, brisk pace is ideal for your walk but again, start where you are. 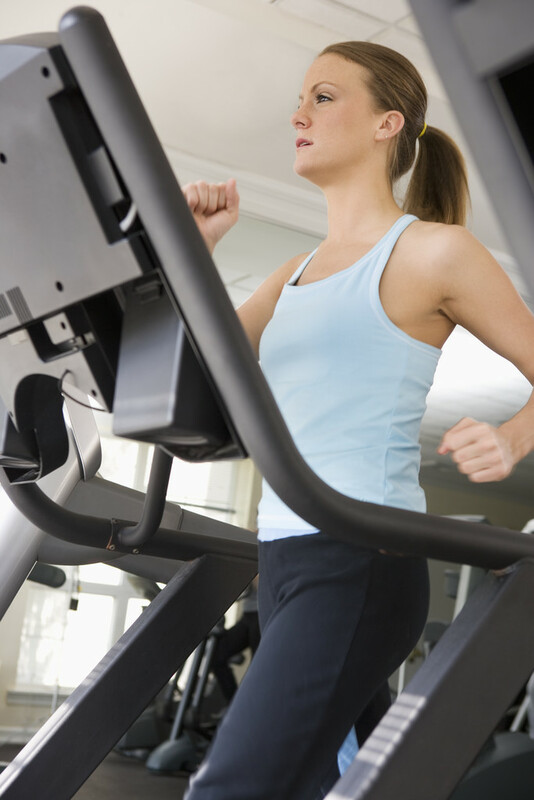 Consider adding intervals when you are able. Intervals are brief periods of higher intensity that boost benefits and help you do more in less time. Happy trails. Standing desks – good or bad for you?